Plymouth and Wycombe have been charged by the Football Association over incidents during their recent match. 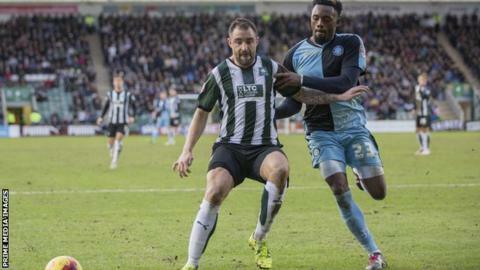 The Chairboys won last Saturday's League Two game at Home Park 1-0. It is alleged that late in the first half the clubs failed to ensure players behaved "in an orderly fashion". The second charge alleges "both clubs failed ensure their players and/or officials conducted themselves in an orderly fashion and/or refrained from provocative behaviour" at full-time. The two clubs have until 18:00 GMT on Friday to respond to the charges.